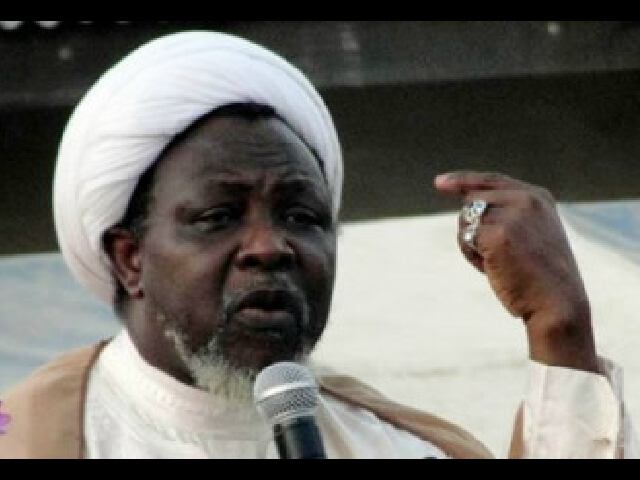 Youths of Islamic Movement in Nigeria (IMN) Wednesday took to streets of Kaduna to protest the absence of their leader, Sheikh Ibrahim El-Zakzaky in the past eight months. They were chanting pro-struggle songs like “Free our leader”, “Free El-zakzaky”, “He needs medical treatment” among others. Police Spokesperson in Kaduna, ASP Aliyu Usman, told Daily Sun via a telephone call that the police is not aware of the protest, adding that the protesters did not write them either. Abdullahi Mohammed, who spearheaded the protest told Daily Sun that their matching on the streets of Kaduna was not unconnected to continuous detention of their leader in the custody of Directorate of Security Service (DSS) since December 2015 bloody clash between the IMN members and men of Nigerian Army that left hundreds dead in Zaria, Kaduna State. Also speaking, a young woman, believing to be speaking on behalf of a Zaria-based nongovernmental organization, AbdulFadI Foundation, Fauziya Saidu, said the protest will continue until their leader is released unconditionally to avail him the opportunity to seek good medical treatment. She alleged that military personnel along Zaria-Kaduna road were busy taking their photographs on their way to Kaduna the purpose of which they said they don’t know, quickly added that no amount of intimidation from Army can stop them from marching to Abuja and remain there until El-Zakzaky, wife and other members of the sect are released from DSS custody. According to her, “most of us here are widows and orphans. We are only demanding that our leader be released for medical treatment. We will continue this match to Abuja and we will not leave until our Sheikh, his wife and others are released. “Then there is his health, specifically the health of his last remaining eye, which is already half blind. “We want to call on those who believe in the adorable right of all human beings to fairness, justice and dignity, to help by joining us in a redoubled efforts. We must act before it is too late. Seriously, our leader needs access to doctors now. “If they are really protecting our leader as their lawyers have claimed, then we would want to ask them what form of threat is the visit of family members, doctors, considering the impending and dangerous situation threatening to turn him blind, why are no doctors allowed? she asked.